With ASES Solar 2016 / Intersolar Conference coming up fast (have you registered? Are you going? You probably should! ), much focus will be on the Intersolar exhibit floor. Last year there were three floors, one for PV generation products (modules), one for Balance-of-System products (trackers, racking) and one for emerging energy storage products (batteries, PowerWall, ect). With each floor taking up about the same amount of space and with hundreds of players, it makes sense to look at these three prongs of the renewable power industry from a market size point of view. The results may surprise you! For consistency we will focus on Q1 2016 results in the US. PV Modules: Lets first focus on the bellwether: PV modules. SEIA reports 1,665 MWdc of modules sold in the US in Q1. Lets say average sale price of a module is $0.65 / W, this amounts to $1,082,250,000 in sales (a lil over $1 BILLION) in the first quarter of this year. PV Balance of System: IHS reported last year the 2014 annual global market size for balance of system product was ~$3.1 Billion, with the US accounting for ~36% of the total market. Doing some rough math, this projects a quarterly US market size of $279,000,000, which is likely an underestimate because these numbers are already 1.5 years old. Either way it is a line in the sand for the point of discussion at the moment. 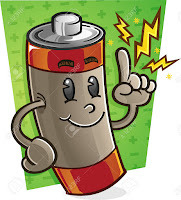 Energy Storage: Now what you've all been waiting for. Energy storage has been the hot new thing in renewables for awhile now, but just how big is the market today? Just how much can your "batteries in a box" company make? Greentech Media reported this month that a total of 18.3 MW, more aptly described as 21.1 MWh, of storage was deployed Q1, 2016 in the US. With Tesla claiming prices of $300 / kWh, lets be generous and say these systems had a total value of about $800 / kWh. With that, the total value of the market is $14,600,000. 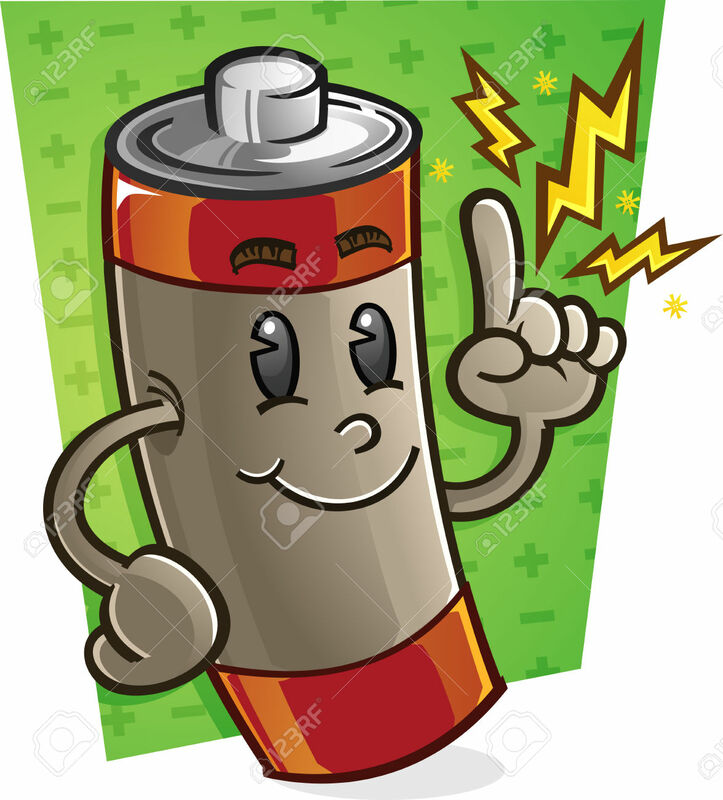 The batteries alone (at $300 / kWh) is less than $6,000,000. 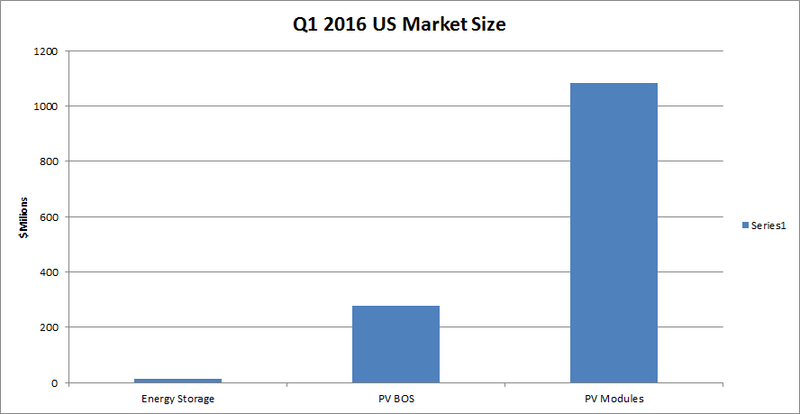 At a compound annual growth rate of 50% (which some claim is too low), it would take 12 years for storage to reach the same size as PV modules today, and 8 years to reach the same size as the US PV BOS market. Meanwhile those markets are growing aggressively as well. For a visual comparison of these three markets, click on the picture below. So what are the reasons to be cautious about storage? First, despite being a tiny market there are already hundreds of players, from big names like Tesla and Lockeed Martin, to dozens of smaller me-too players. Second, there is already a fairly good, yet embattled in some areas, competitor to storage: net metering. If you have solar on the roof and an agreement with the utility to give you credit for energy you put back on the grid, then guess what, you already have a great (and free) storage system. Third, there are really no reasons why this developing industry will be a "high margin" endeavor, much like PV modules. Reasons to be bullish on storage abound, but it is a good bet that storage will have more shakeout than opportunity for most players in the next 5 - 10 years.